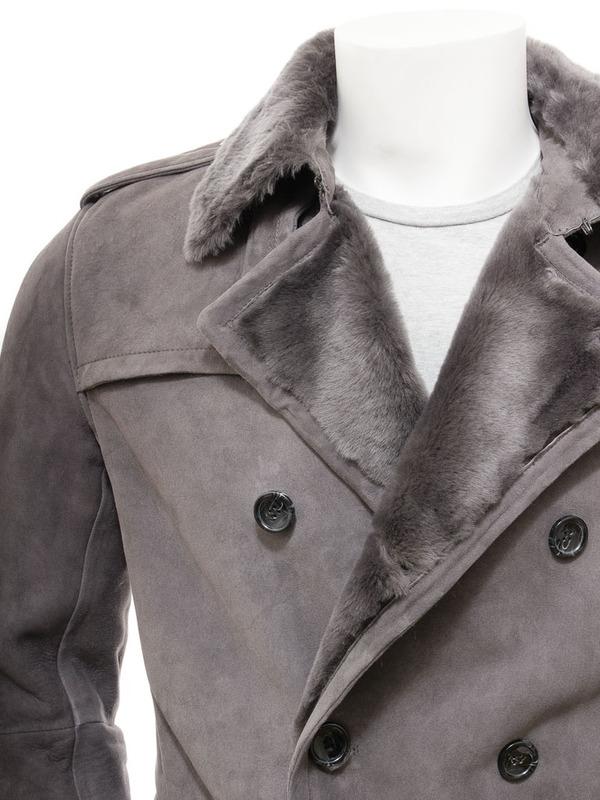 A super-lux grey, sheepskin shearling coat. Pure indulgence combined with high fashion result in a coat like this. 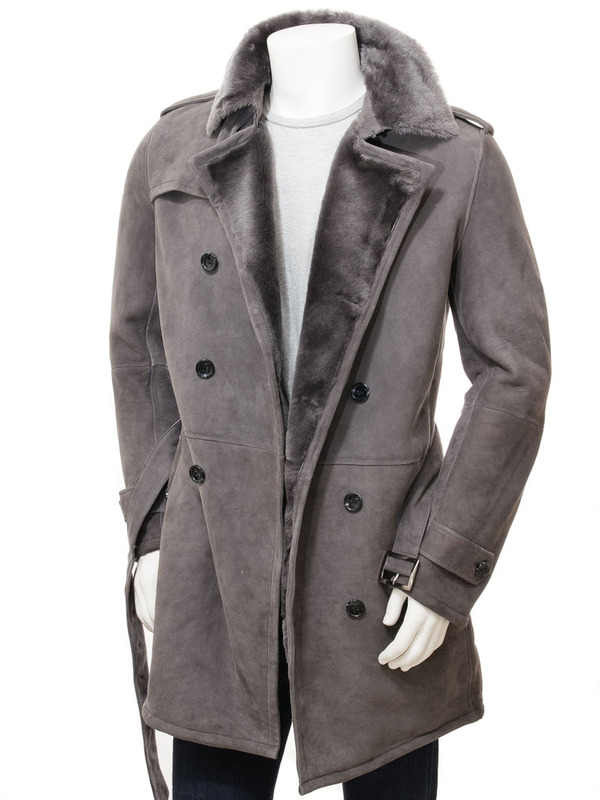 Our highest grade of shearling sheepskin with a soft matte exterior and a thick woollen fleece interior is styled into a classic trench coat design. 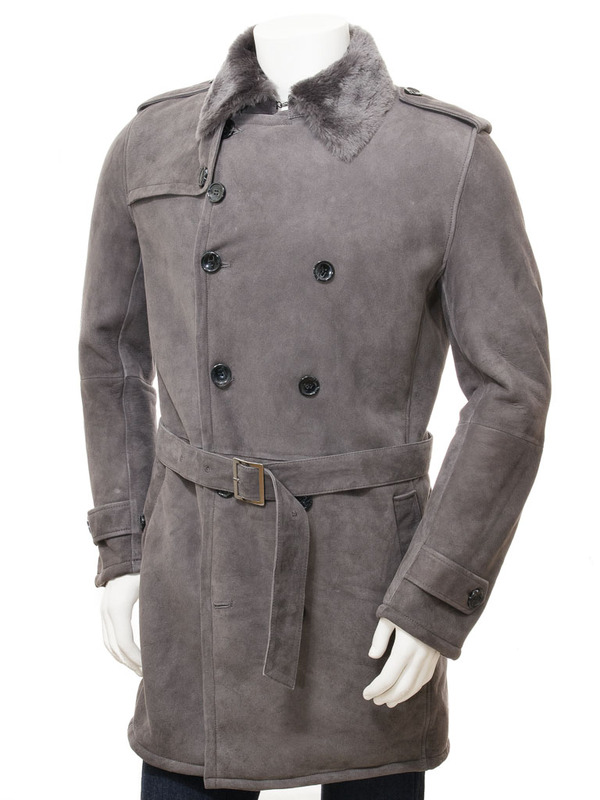 A double breasted, buttoned front extends right up to the throat for maximum protection. 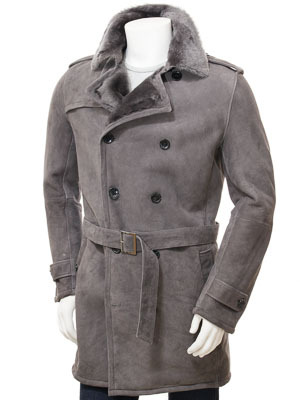 The coat is belted to help adjust the fit with two deep pockets at the hip. 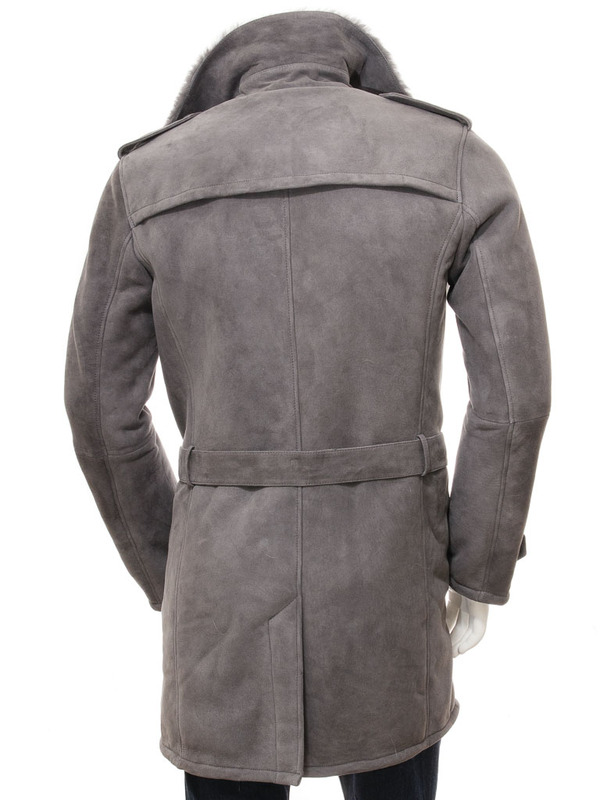 The rear incorporates a single vent. 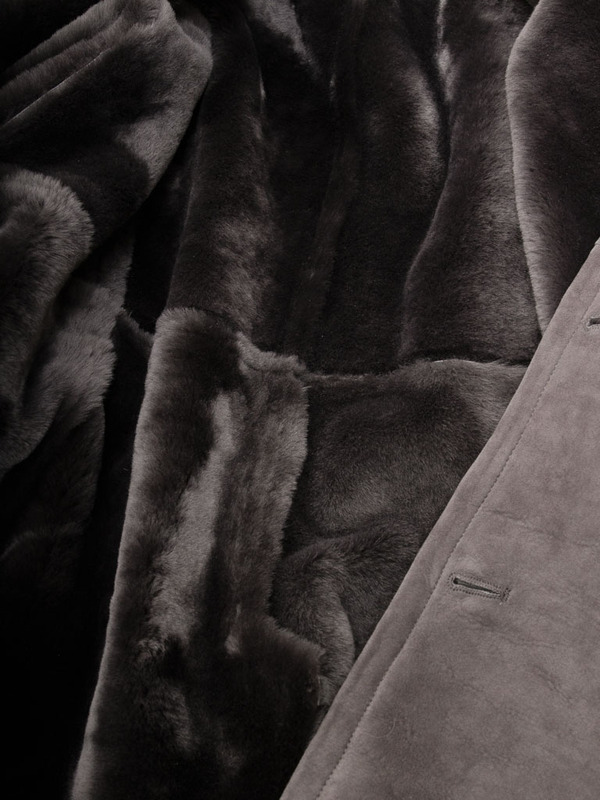 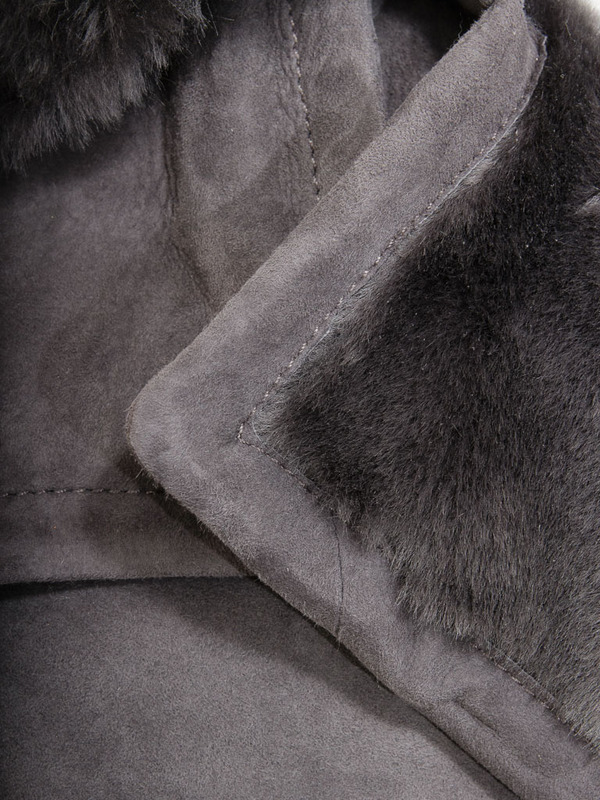 Inside, the coat comprises the deep, soft woollen fleece of the skin throughout.